68710 3M Filtrete vacuum bags use 3M microallergen technology to capture up to 94% of the dander, dirt and pollen your Oreck XL vacuum cleaner picks up. A genuine OE part, these bags will help keep your indoor air cleaner and more breathable, while significantly reducing the symptoms of seasonal allergies, if used consistently and replaced according to schedule. 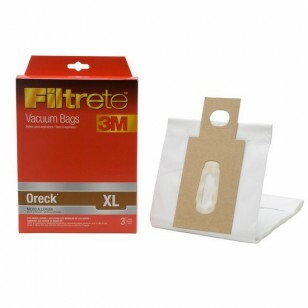 Buy the bags your Oreck needs by ordering 68710 3M Filtrete vacuum bags from us online today!